Individually addressable RGB lighting system, software controlled through USB header. Unlike other RGB systems at this price point, our system does not limit you to a few preset colours and effects, or require you to have a specific motherboard. Our LED controller plugs into your motherboard through a regular internal USB header, and can be controlled through our software suite. We also offer a USB passthrough. Everything you need to light up your PC is included in the box. Each LED on our light strips is individually addressable, and can display 16.8 million colours. Our software features many lighting modes and patterns. This combination gives you virtually infinite lighting customisation, offering you the ultimate RGB solution. The Iris controller digitally addresses each LED on our strips individually, capable of displaying 16+ million colours on each LED. The Iris LED controller has 2 individual lighting channels. Allowing you to run 2 groups of LED strips, with separate configurations, at the same time. Our LED strips and extensions can also be daisy-chained, or wired in parralell. 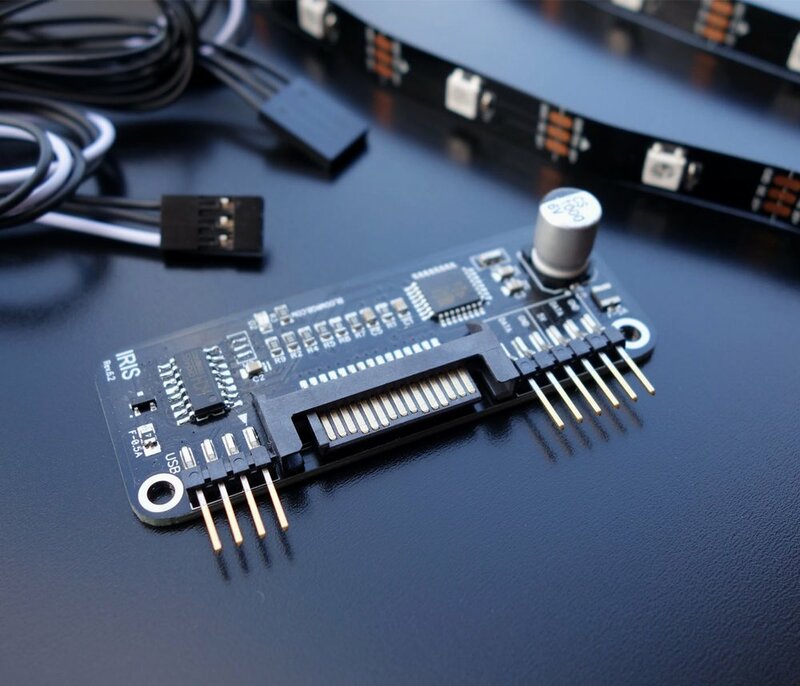 The Iris LED controller can run up to 4 LED strips. The Iris LED controller doesn't bother with clunky IR remotes or buttons. Instead, you get full, easy, in depth control of your lighting through our software suite, from your PC. This gives you real access to the huge colour spectrum available, as well as great customisation with our transitions. Our system doesn't require a special motherboard, or any RGB compatible system. All that is required is a USB connection. By default the controller plugs into an internal USB 2.0 header on your motherboard, keeping everything contained inside your PC. If required, you can purchase a USB passthrough cable separately, allowing connection through any USB Type-A port (including USB 3.0). 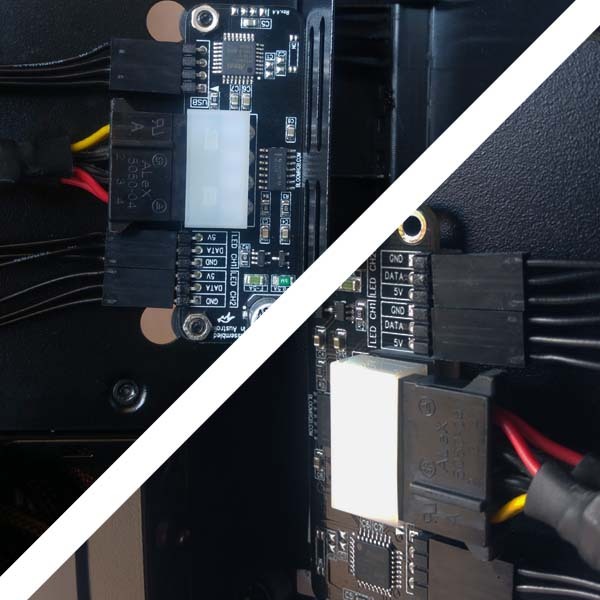 The Iris LED controller can be screwed into a standard 2.5" drive bay, or alternatively taped anywhere in your PC with the included double sided tape. It's low profile allows it to be hidden behind your back panel. Our LED strips are mounted with their adhesive backing. Aditional accessories can be purchased seperately. *Australian customers will get Australia Post shipping. Bloom RGB products are proudly designed, and assembled in Queensland, Australia. * Any PC which is compatible with BloomRGB systems, runs windows, & has internal USB 2.0 headers, external USB ports can be used with separately purchased cable.